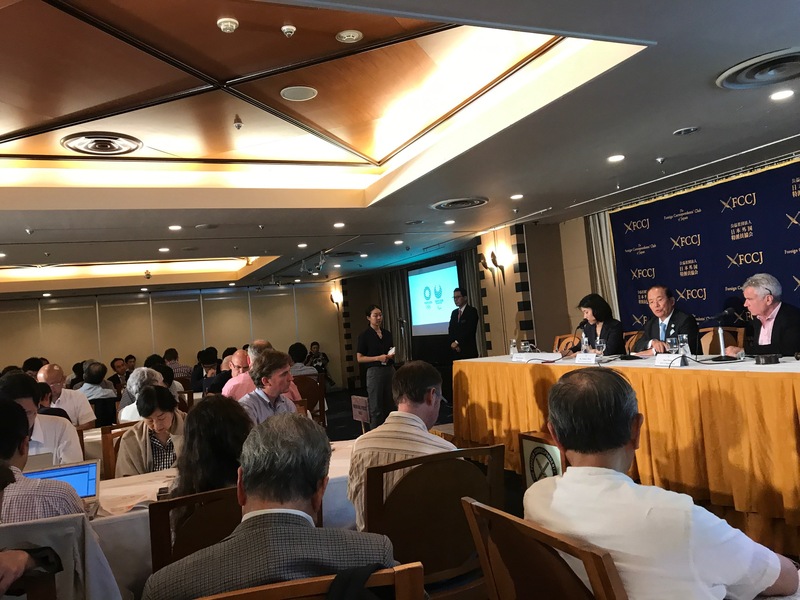 Tokyo Organizing Committee of Tokyo 2020 Olympics CEO Toshiro Muto speaks during a press conference at the Foreign Correspondents' Club of Japan in Tokyo, on July 18, 2017. July 19, 2017 (Mainichi Japan)　-- Uncertainty over the final budget for the 2020 Olympic Games will continue until 2019, the head of the Tokyo Organizing Committee said on Tuesday. "We will continue to explore more cost efficiencies," Tokyo 2020 CEO Toshiro Muto told the foreign media amid concerns regarding the higher-than-projected costs.